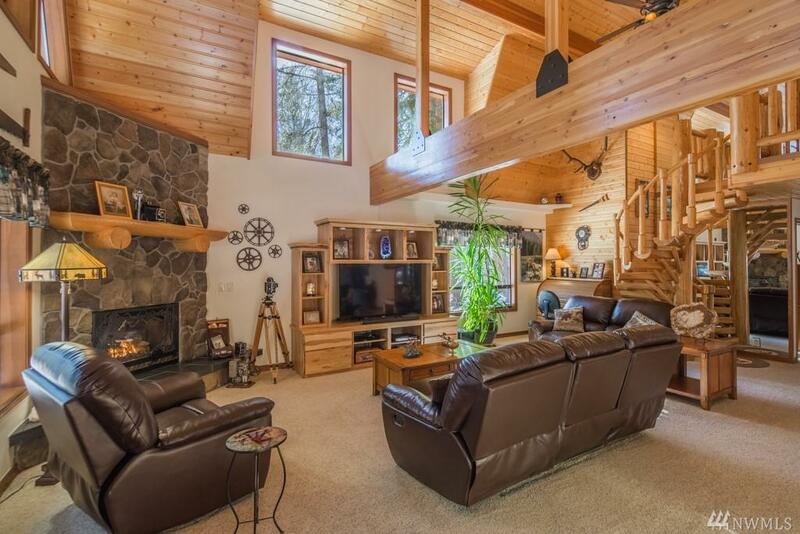 Create unforgettable memories at this 7 bdrm home on Silver Creek! 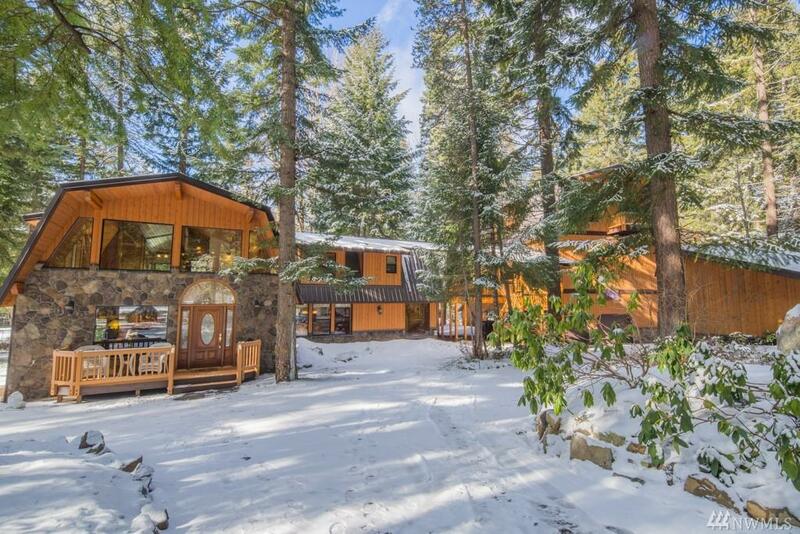 This lodge could be the perfect VRBO, corp. retreat, or multi-fam investment. 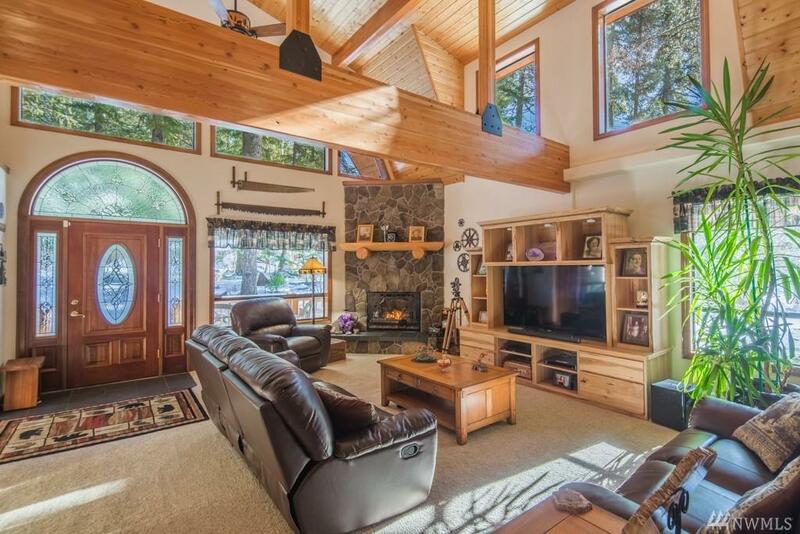 Stunning fireplace, vaulted ceilings w/exposed beams, & custom log stairs. Well appointed kitchen w/rustic knotty hickory cabs & granite counters. Intriguing catwalk & Master Suite upstairs. Rec room w/2nd kitchen! Indoor athletic court! Attached AND detached garages for your toys. 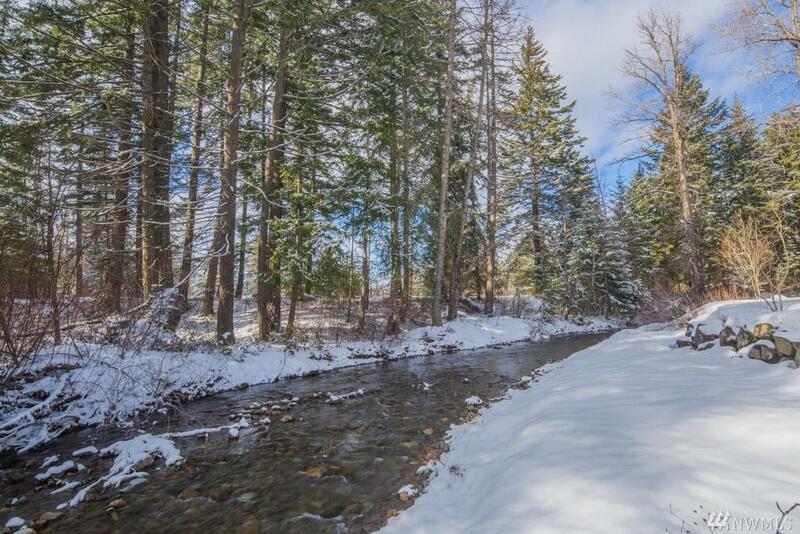 Snowmobile from your back door, or its just minutes to ski, golf, boat!